Obviously confetti is a wonderful part of any celebration…or picture…or life…but sometimes you want your guests to participate in it and that’s not so easy when they’re struggling to get it out of the bag you’ve provided them with. Never fret! 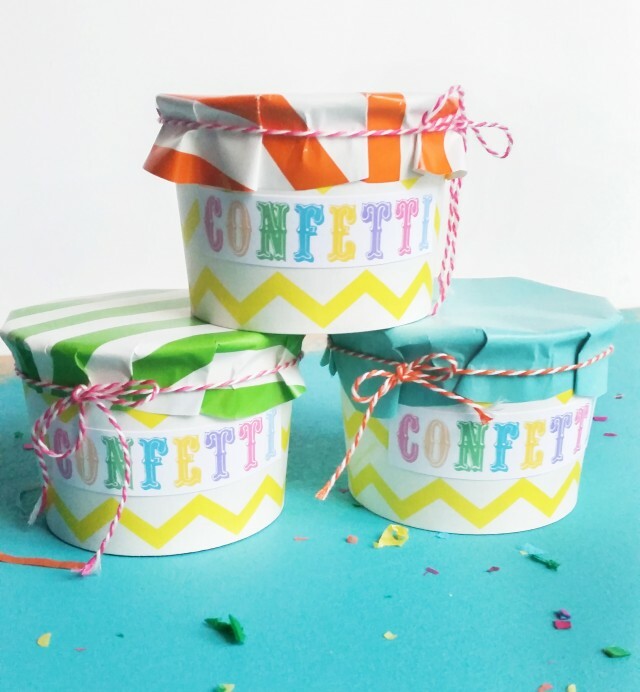 These cute little confetti carton favors are a cinch to put together and even easier for hands to open and dip themselves into to retrieve the throwable joy within! 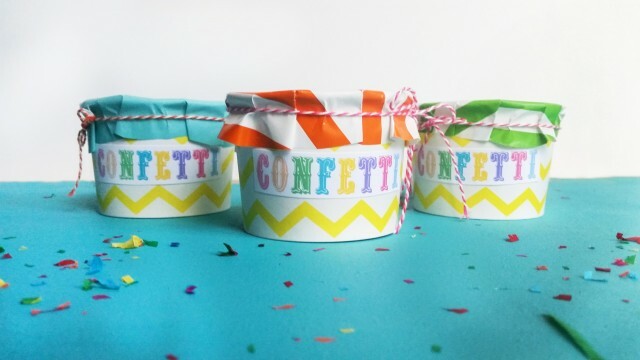 I love these chevron treat cups that Party Pail sent me and they are the perfect size for this confetti-filled project! Choose out the colors you’d like (they have so many fun options!) and then print my confetti labels here. 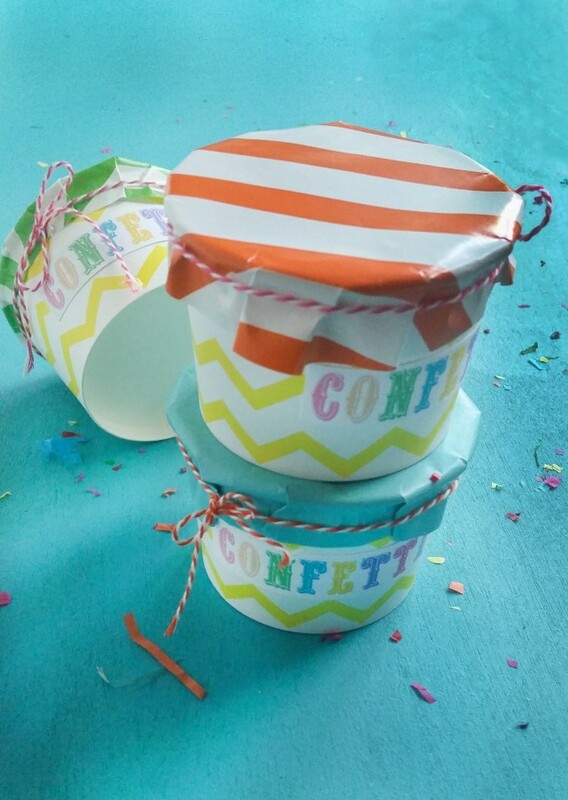 Cut them out and adhere to your confetti filled cups. Cut circles from wrapping paper that are about an inch bigger than the top of your cups. 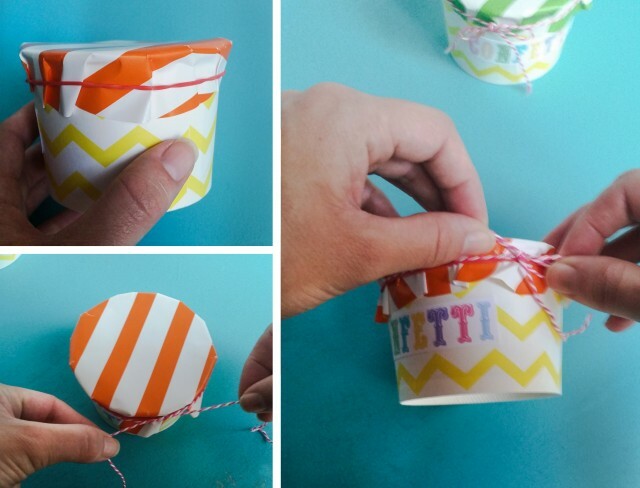 Press it over the tops and use a rubber band to hold it in place while you tie some colorful bakers twine around it. 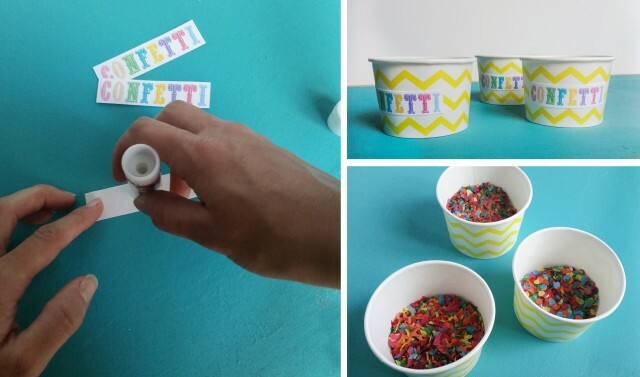 Set these happiness-filled fun cups out for your guests to take and enjoy! I love the idea of making these to match your wedding and handing them out to guests so they can shower the couple as they make their get away!